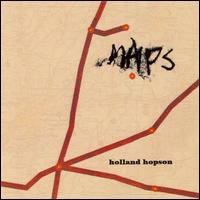 Maps, Holland Hopson's first solo release on Grab Rare Arts. Maps features 6 tracks of soprano saxophone and interactive electronics--from the Sacred Harp-inspired "Kedron" to the aggresive textures of "Yellow Mama" and the haunting lyricism of "Still Moving." Or download individual tracks below. All downloads are 320k mp3. Enjoy. Maps is licensed under a Creative Commons License.